Highlights of Vodafone 4G prepaid daily data plan 396 offers unlimited calling benefit - Vodafone India recently revised the prepaid plan of Rs 399 and reduced the benefit of the data along with the increase in validity. The prepaid Rs 399 plan now offers 1 GB of data a day, instead of daily data benefit of 1.4 GB. However, Vodafone has introduced a new prepaid plan 396 with the benefits of the previous plan 399. The prepaid 396 Vodafone plan offers 1.4 GB of data per day for 69 days, which is very similar to the previous earlier plan 399. In addition to the data advantage, the new plan is also gives unlimited voice calls and 100 SMS per day throughout the validity period. Similarly, users will also have access to the free Vodafone Play app. To remind you, Idea Cellular has recently launched the prepaid plan Rs 392 with benefits for 60 days. The prepaid vodafone plan 396 is replaced with 399 plan which offers benefits for 70/84 days. It gives unlimited voice calls without any FUP limitation because Vodafone Idea has eliminated the limit of voice calls. The plan also offers data of 1.4 GB per day and 100 SMS per day for 69 days from the reload date. Vodafone customers will also have access to the Vodafone gaming application, which is the application of telecommunications company content with over 5,000 films and more than 300 live TV channels. The Vodafone Play app can be downloaded for free from the Google Play Store. To be remembered, a couple of weeks, companies like Bharti Airtel and Vodafone Idea reviewed the prepaid plan 399. Replaced 399 new Vodafone plan provides 1 GB of data per day plan, which is lower than the previous benefit of daily data usage 1.4 GB. The plan now offers 84-days validity benefit to all prepaid user. Previously, 399 prepaid plan offered 1.4GB of data per day, with unlimited voice calls and 100 SMS limit per day for 70 days and the same plan was valid for 84 days for some prepaid Vodafone customers. The new prepaid plan 396 of Vodafone is similar to the old prepaid plan 399 with only one advantage in less than a day. From now on, the prepaid 396 plan is only valid for selected telecom circles such as Delhi and Mumbai users. You can check the availability of the plan in your mobile number via the Vodafone website or mobile application. 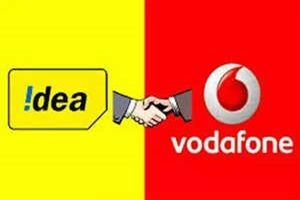 Telecomtalk already informed that Vodafone Idea has dropped the FUP limit in voice calls segment from January 10th 2019. For those who do not know, the unlimited prepaid plans of Vodafone offering benefits come with unlimited calls, but the telephone company restricts voice calls to 250 minutes per day and 10,000 minutes per week. 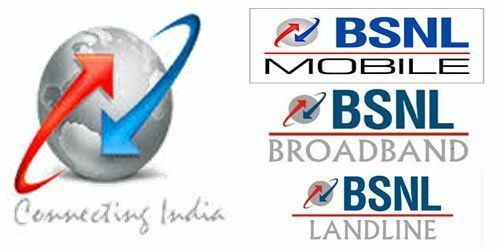 That said, the restriction is now more, since the telecommunications company wants to compete with Bharti Airtel and Reliance Jio. While Jio introduced the concept of unlimited voice calls, it was immediately followed by Bharti Airtel at the end of 2017. No doubt, Vodafone operated one of the world's largest cellular net work with over one million subscribers like professional essay writer. This, combined with the company's increasingly top international profile. Its prominent role in the expanding mobile telecommunications industry.